I’ve always enjoyed float fishing. 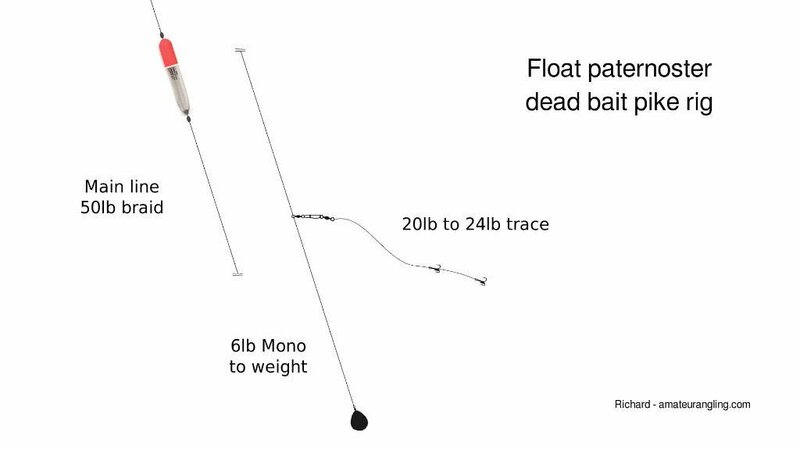 So when conditions allow, I like to dead bait for river pike using a float. The rig I like to use is a fixed float paternoster. The rig is very simple. The main line is tied to a snap link swivel, with a much weaker monofilament link down to the weight. Tie this weak mono link to the same eye as the main line. 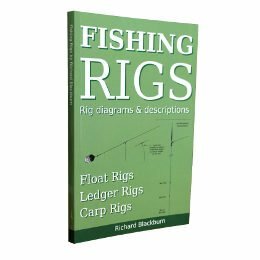 Many anglers use this rig with a sliding float, but I much prefer to use a stop either side of the float to fix it in place. With the wire trace unclipped, you can use the rig to find the depth. I like to fish a few inches over depth and then tighten down to the float. Use a heavy 2 oz weight to anchor the bottom of the rig. 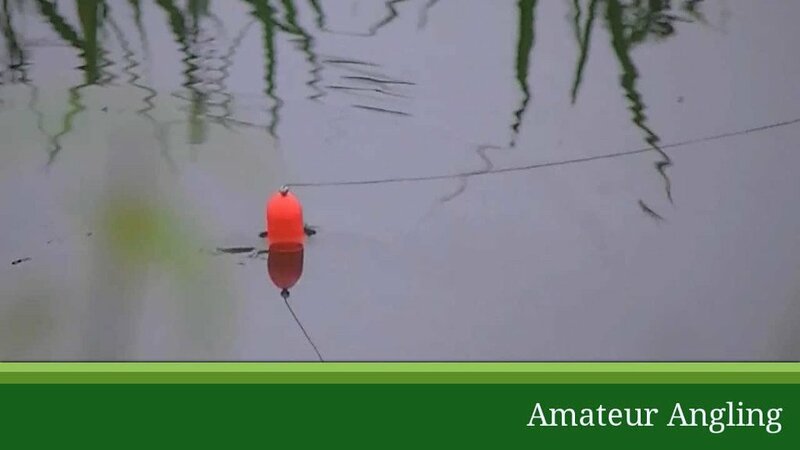 With the bottom anchored, a pike taking the bait will immediately cause an indication at the float. The float should be buoyant enough to hold everything up straight. Making this rig particularly useful for presenting a dead bait above the bottom. Or in the winter for fishing over a weed bed that has died back. 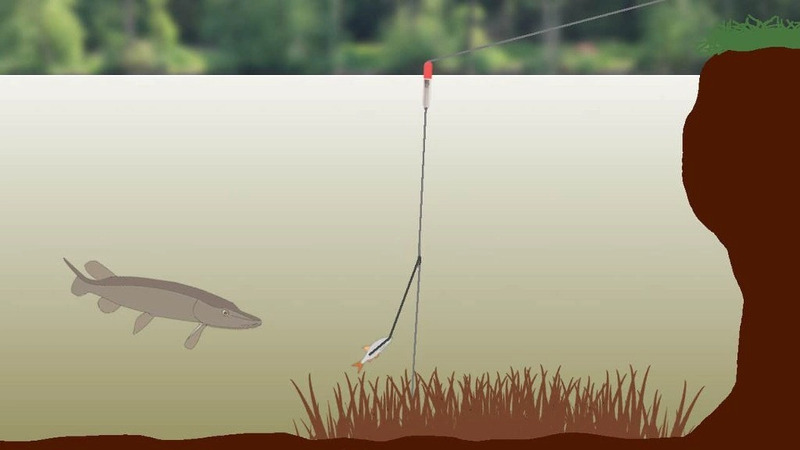 Always feather the line down hard on the cast, Then trap the line completely just as the rig hits the water. This will ensure the rig does not tangle on the way down. The float paternoster works best in a gentle even flow in calm conditions. If the flow is too strong the float just gets pulled under. 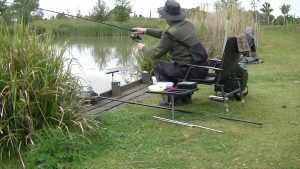 Also arrange your rod to keep as much of the main line off the water as possible. I like this rig for three reasons. It can present the bait off the bottom, it offers very little resistance to a taking fish and I really enjoy float fishing. 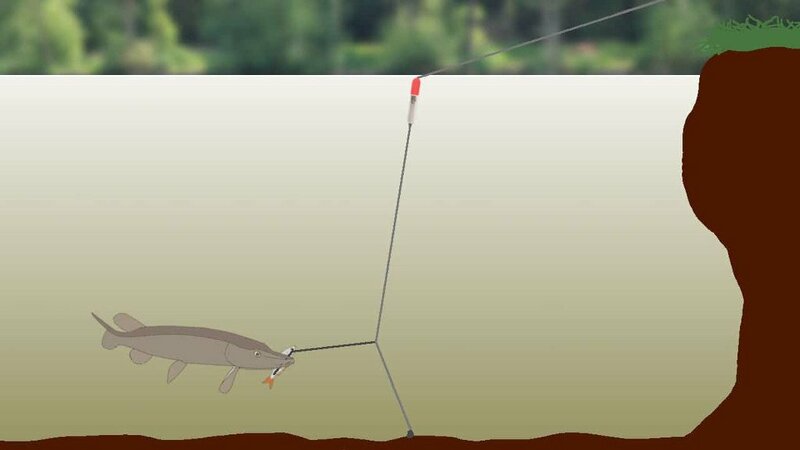 If conditions don’t suit this rig, may I suggest two other rigs which I have covered in another film, called “Dead bait rigs for river pike fishing“. 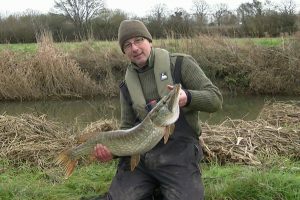 This film also has more general information on pike fishing.